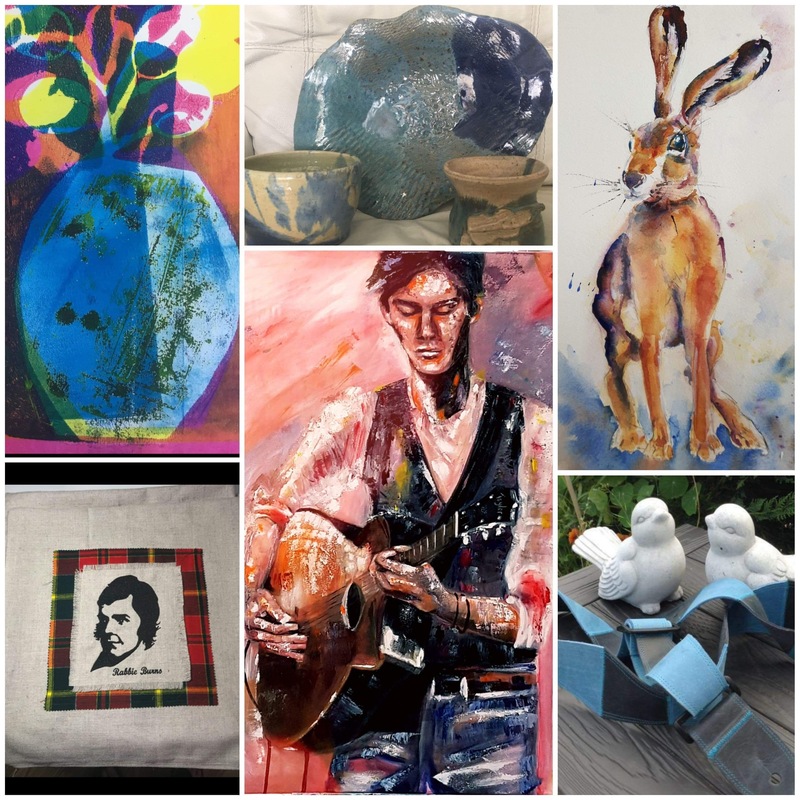 The Girvan Festival Art Exhibition will be on from the 3rd of May through to the 15th of June. The craft exhibition will be held over the folk festival weekend. A first for the Girvan Folk Festival is the art and craft exhibition which the folk festival is hosting at the McKechnie Institute. The art exhibition will be on from the 3rd of May through to the 15th of June. The craft exhibition will be held over the folk festival weekend. The theme of the art exhibition is “Musicians who Paint “but if anyone can come up with a snappier title their suggestions will be welcome. 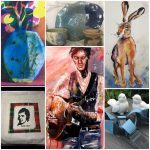 Our artists are Rebekah Loughran Muir, Jan Stroud, John Gahagan and J L Burns, all very talented and with very different styles as the collage shows. The crafters are Rona Carson, May Mayberry, J L Burns and Angela Carroll. We are also expecting to confirm other events which will be held in the McKechnie Institute over the Festival weekend, demonstrating our commitment to the arts generally and arts groups within Girvan. Please drop in to the McKechnie and see what is happening. As all our crafters and artists are musicians too there will probably be the odd session and good craic.